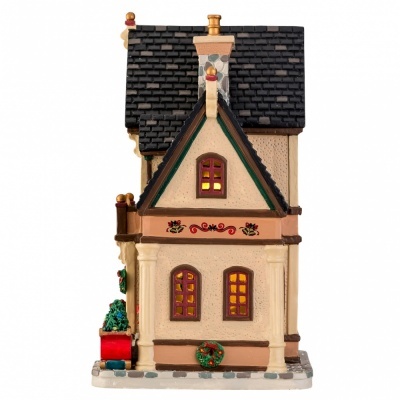 Lemax Noel's Christmas Shoppe Lighted Building depicts a delightfully decorated unique victorian Christmas corner store with a highly visible and internally lit shop window display. 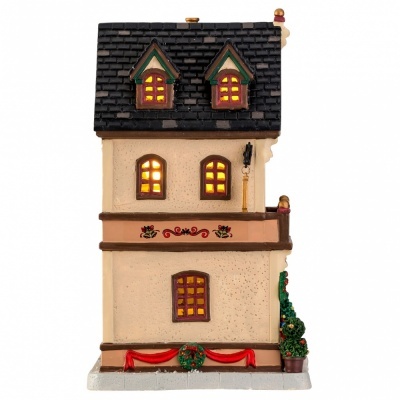 Illuminated Christmas building miniature table piece, suitable for placement within a Caddington themed Lemax display. 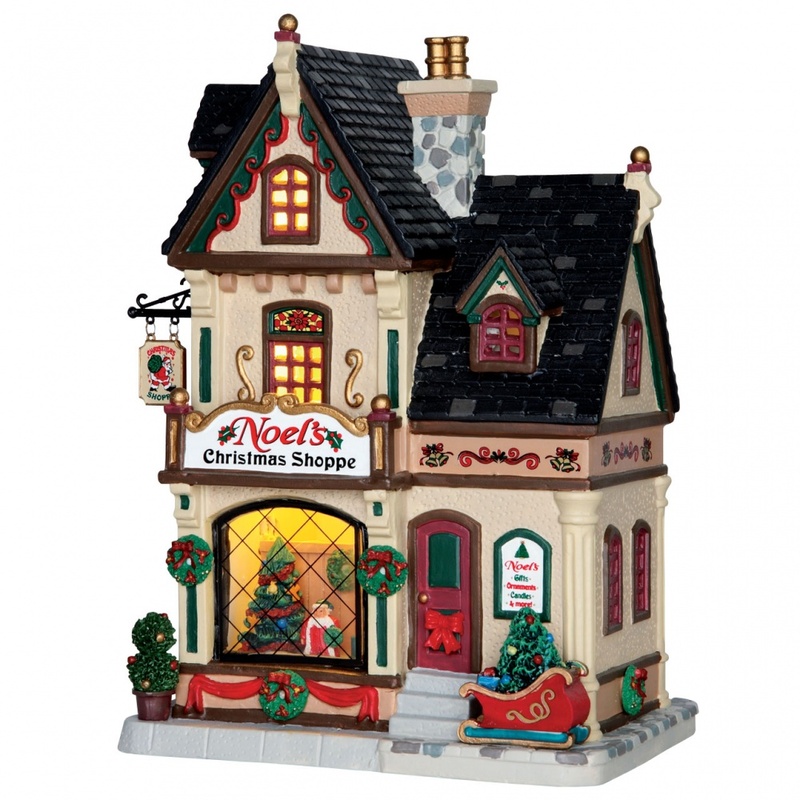 Noel's Christmas Shoppe is a new addition to the Lemax Caddington Village miniatures collection in 2017. Noel's Christmas Shoppe s is a single porcelain hand painted miniature building on a single street base. Supplied with battery pack LED light cord (AC mains adaptable). to illuminate the building from inside.